They say their quantum machines will outperform classical computers in just a few months. Quantum computing: it’s the brass ring in the computing world, giving the ability to exponentially outperform and out-calculate conventional computers. A quantum computer with a mere 50 qubits would outclass the most powerful supercomputers in the world today. Surpassing the limits set by conventional computing, known as achieving quantum supremacy, has been a difficult road. 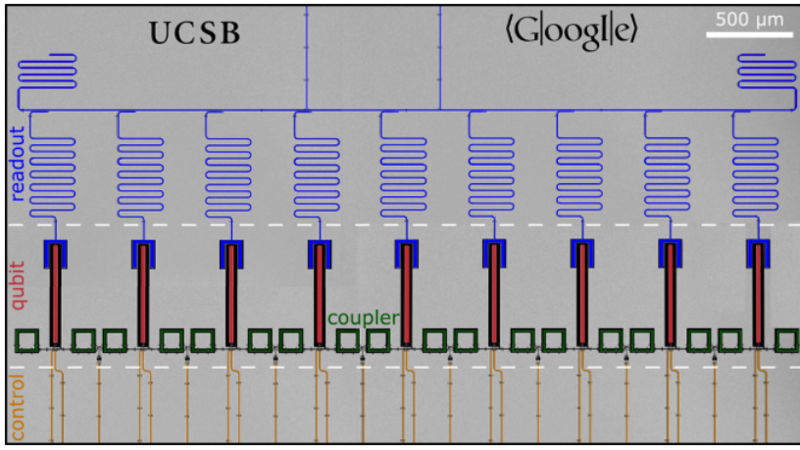 Now, a team of physicists at the University of California Santa Barbara (UCSB) and Google have demonstrated a proof-of-principle for a quantum computer that may mean quantum supremacy is only months away. Quantum states are difficult to isolate and sustain, so the practical task of isolating quantum processing machinery from outside interference has proved to be the sticking point in pushing quantum supremacy out of reach. However, to demonstrate quantum supremacy, a computer system doesn’t need to be an all-purpose quantum dynamo; it just needs to show one quantum capability that is beyond the capacity of conventional systems. To do that, the Google and UCSB team’s strategy comes down to qubits. Qubits are different from ordinary bits (the smallest unit of data in a computer) because they can exist in superposition. Each ordinary bit can be either a 1 or a 0 at any given time, but a qubit can be both at once. Two ordinary bits have 2² potential positions, but again, only one at a time. Two qubits have that same potential all at once. Adding qubits expands potential exponentially, so 50 qubits represent 10,000,000,000,000,000 numbers — an amount a traditional computer would need a memory on the petabyte-scale to store. The team’s plan, then, isn’t to create a fully functional quantum computer, but to instead create a system that can support 49 qubits in superposition reliably. If it can do that, so the theory goes, the rest is relatively easy. Their system is a series of nine superconducting qubits, consisting of nine metal loops cooled to a low temperature with current flowing through them in both directions simultaneously. They were able to show that the supported qubits represented 512 numbers at once, and that the results were reliable, without an accompanying exponential increase in errors. This is much lower than the number of qubits needed to declare supremacy, but it’s a promising result. The next step will be to create a 50-qubit chip and test if its errors increase at the manageable pace seen in the nine-qubit experiment. If the team is right, they may achieve quantum supremacy in a matter of months. If they do, the applications will be staggering. We can expect to see machine learning take place exponentially faster, and artificial intelligence progress much more rapidly. 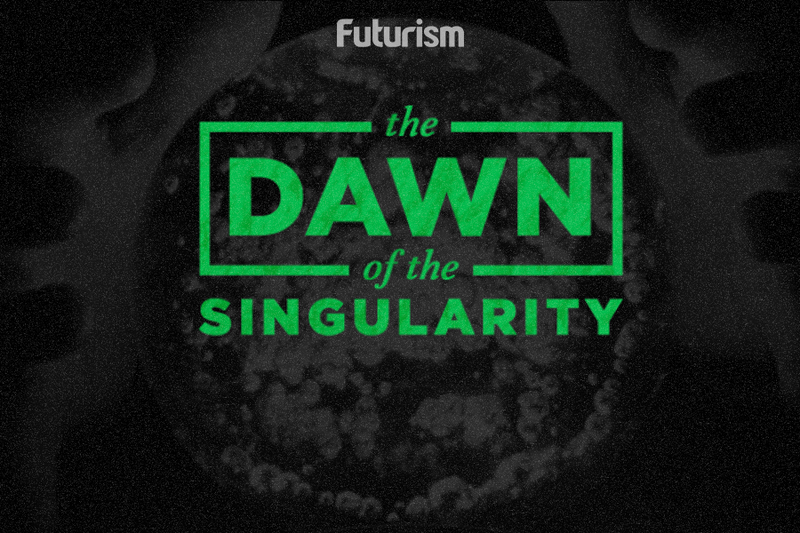 If it does, we may see the singularity approaching long before most predicted. Quantum computers will make personalized medicine a reality, parsing out the function of every protein in the human genome and modeling their interactions with all possible complex molecules very quickly. We will see simulation-based climate change solutions come to light, and find new chemistry-driven solutions to carbon capture. We are likely to see huge leaps in material science and engineering that allow us to create better magnets, better superconductors, and much higher energy density batteries. And we are almost certainly going to see more technological advances through biomimetics as we find ourselves achieving more insights into natural processes, such as photosynthesis. In other words, the idea that quantum supremacy will change everything isn’t just hype.